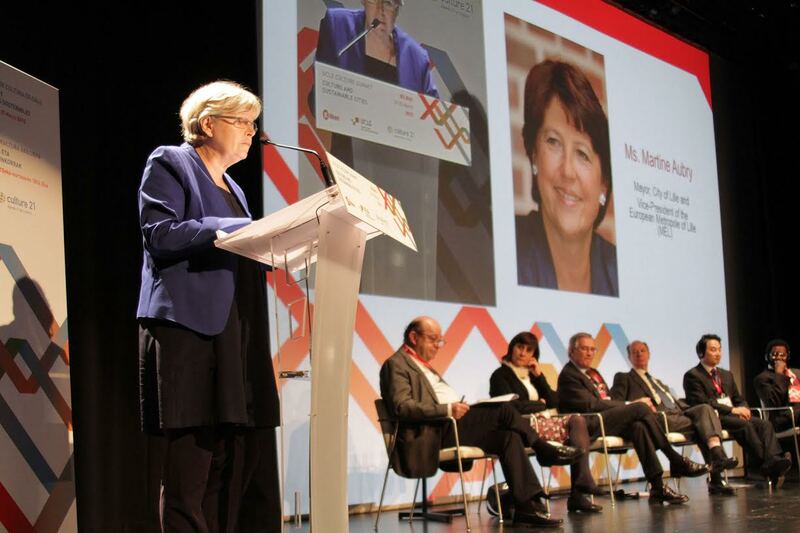 Representatives of more than fifty cities from every continent came together in Bilbao from 18-20 March for the first ever United Cities and Local Governments Culture Summit. Over the three days of this landmark event, local leaders and practitioners demonstrated how they are taking the lead in recognizing, not just the potential of culture, but its absolute necessity for sustainable development. The UCLG Culture Summit was held at a decisive moment in the international negotiations on the Post-2015 Sustainable Development Agenda, which will be signed off in September this year by UN Member States. It provided a platform for local and national governments, civil society organizations, and international organizations such as UNESCO, to assess the current position of culture in the Agenda and to share experiences and innovations from cities across the world. 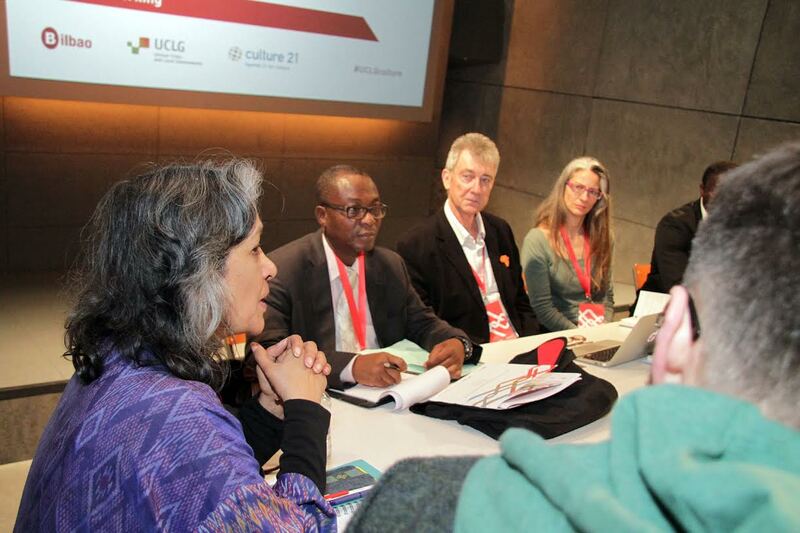 Mayors, councillors and cultural practitioners at the Summit warned that the Post-2015 Agenda risks being rendered irrelevant if the international community fails to keep pace with the lessons learned about the relationship between culture and sustainable development at local level. The work of local and regional governments on the ground has proven that the sustainable development goals related to poverty, gender equality, health, education, climate change, and peace and security, cannot be achieved without taking into account and working with the distinct identities, values and practices of local cultures. These insights will feed into the ongoing advocacy work of international government networks in the Post-2015 and Habitat III negotiations, particularly the Global Taskforce of Local and Regional Governments, which has been pushing for a 'localized' Agenda that takes into account of local realities, including culture, on the ground. The Global Taskforce will take particular note of the strong calls in the session on 'The place of culture in the sustainable development goals' for robust indicators for targets related to culture and of the value of collaboration between local government and civil society networks on shared issues of concern. The diverse range of successful cultural policies and programmes presented by cities over the course of the three day event in Bilbao are all based on a common understanding of the mutual interdependence between the economic, social, environmental and cultural pillars of sustainability. Few cities better exemplify the transformative potential of culture than Bilbao itself, which became a touchstone and international example in this area after its culturally-based regeneration in the late 90s. Mayor of Bilbao, Ibon Areso, underlined his city's ongoing commitment to investing in culture, saying that, today, "It is more necessary than ever to stop and reflect on the role of culture in all its dimensions." These principles are reflected in "Culture 21: Actions", approved by the UCLG Committee on Culture at the Summit on Thursday and published the following day in English, French, Spanish and Basque. This new tool provides adaptable guidelines to enable cities committed to culture and sustainable development to assess and improve their work in these areas, and to exchange experiences and good practices with one another. Over the next two years, UCLG will establish a work programme to facilitate peer-to-peer learning related to “Culture 21: Actions” between cities from different continents.